Why does Apple get away with it all ! 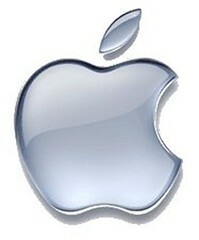 Posted bydarkstar	 December 18, 2008 2 Comments on Why does Apple get away with it all ! Apple recently announced that they will not be taking part in Macworld from next year and Steve Jobs will not be presenting at this year’s (2009) keynote. The blogosphere as usual hasn’t taken very kindly to this news. According to Apple the decision to pull back has been based on the fact that they’re a big company now and they have other avenues to reach the customers. I don’t have a doubt about the statement. Apple is a really big company now. But, have they ever given the fact a thought, that they’re big because of the users. Apple is not big because their operating system is bundled with 90% of the computers sold in the world. They’re not big because their phone is the most stable platform in the world. They are big because their community of users hasn’t left them for greener pastures … yet. Apple is probably the onle company in the world that can get away with anything. And I really mean anything. DRM, faulty hardware, sub standard OS performance, “Apple Tax” … anything ! Is it really time to look for alternatives. Is it time to really think why we use Apple products anyway ! I’ve been an Apple user since some time. Owned an iBook sometime and when it failed with the infamous logic board failure, I saved up money to buy the latest greatest Macbook – which I’m glad I didn’t buy. I also own an iPhone and have gone through all the hoops to make sure it works with my provider. Will I buy an iPhone again. Short answer – No ! Long answer is a bit complicated. The reason I didn’t buy a Macbook is the same as the reason why I’m not going to upgrade to a newer iPhone. Freedom. Or the lack of it. In all these years of using Apple products, I’ve never felt more crippled. Apple’s products are priced more than any of their competitors and don’t really provide any real benefits. Why should I buy those products anymore. Apple is now crippling even the display ports with DRM and they still want us users to endorse their brand. One thing I really don’t understand is why are more and more developers developing open source application drifting to the Apple world. Attend any open source conference and you’ll find atleast 50% of the developers using Apple machines. Don’t they feel the pain ? I really hope that Apple doesn’t cripple the Mac mini this Macworld with the display port nonsense. As far as I know, that’s the only decent mac that is left. Don’t get me wrong. I like Apple. I like the fact that Apple products apparently … just Work. I just don’t like the freedom that I have to give up for that. And I still don’t think OS X has anything great going for it. Its the hardware that Apple is good at. Thank you Apple …. for showing me the path … for guiding me towards the light. I don’t need to take any more crap from you and I can go back owning my computer and using it the way I always wanted to. Thank you. Just on the same path but different note or something like that- we did this promotional exercise at MoodI at IIT-B. Contest of course happened. Prize we were deciding between Apple I-Pod or Creative Zen player or something like that it was called. U know why the former was chosen – purely because it was an Apple. The other one had way cooler features and looked much better and all that jazz and we chose the bloddy I-Pod because it was a known brand thingie 🙂 Wot eet ees to do no?